When I was a little girl, I remember going to school every day wearing a backpack. In those days there were two occasions when you were wearing a backpack. Going to school and travelling or maybe if you stretch it then you could also add some kind of sport, like hiking. You would struggle to find a woman strutting down the road in the latest fashion wearing a backpack. But those days are long gone. Gone are the times when a backpack was a purely utilitarian piece of luggage. And the times when they were made mainly from waterproof fabrics also disappeared in ancient history. Backpacks have been making a massive comeback in the last few years. Brands are competing for the most fashionable designs and people around the whole world are obsessing about the combination of the comfort and luxury. Now backpacks are part of the daily life of a modern woman. From going to the gym in the latest sport attire while wearing the most fashionable backpack to shopping in Fifth Avenue or Sloane street, backpacks deserve to get our attention. And why not? Don’t you think it is great to have your hands free from carrying a tote and your shoulders don’t hurt from heavy shoulder bag? Backpacks are very kind to your back and neck as well as your overall posture. Apart of the health facts, they just look cool. Most of the brands are now making them from leather adapting their classical designs to the shape of the bag. Colour wise you name it you get it. And you can also choose from all sorts of shapes and sizes. So my verdict is YES. 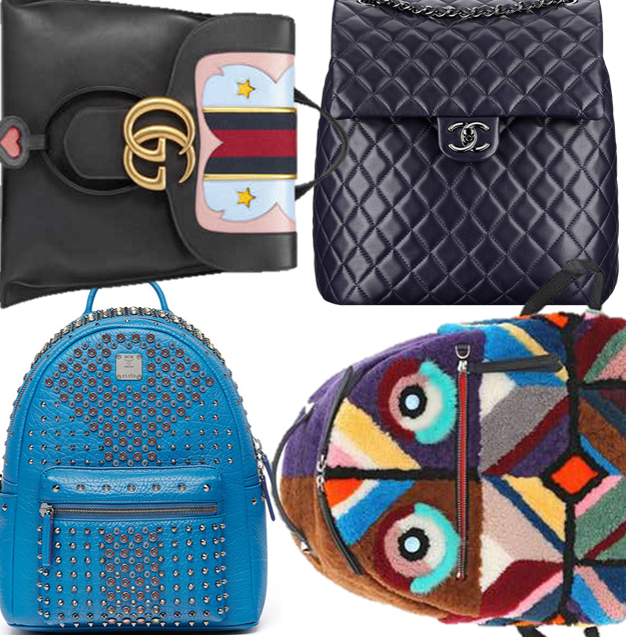 Backpacks are indeed very much “IN” and I made a little investigation and found for you the coolest backpacks of the season. So don’t waste any more time thinking what your next back should be and go for the luxury comfort.